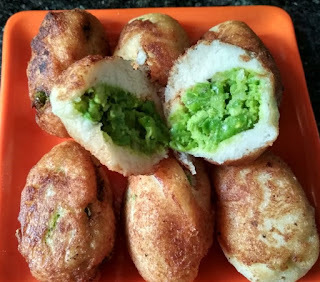 Bread with green peas filling makes a mouthwatering snack. This is a perfect snack with evening tea and breakfast also. You can serve as a appetizer. Bread green peas rolls are crunchy outside, spicy and soft inside. Easy to prepare and serve. Its kids favorite snacks.